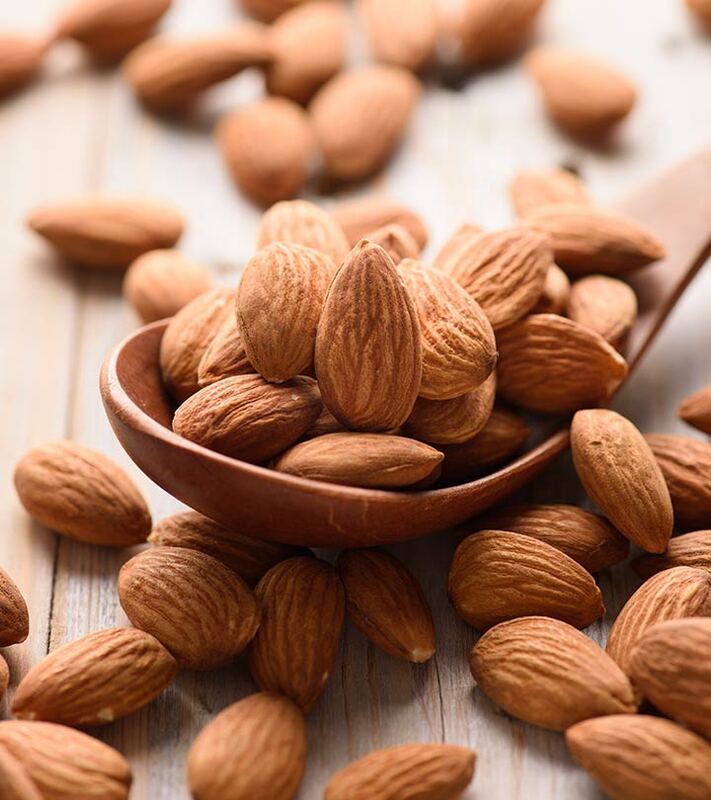 Almonds are popularly known as ‘Badam‘ in Hindi, ‘Badamkayi’ in Telugu, ‘Vadhumai’ in Tamil, ‘Badam Parippu’ in Malayalam, ‘Badami’ in Kannada, ‘Badam’ in Gujarati, and ‘Badaam’ in Marathi. Almonds are the healthiest nuts you can get, though it isn’t exactly a nut, but more of a seed. They belong to the group of prunus, a variety of trees and shrubs which also comprise the families of apricots, cherries, plums, and peaches. Almonds were initially found in North Africa, West Asia and in the Mediterranean regions. They are rich in vitamins and minerals, and are high in dietetic fiber and monounsaturated fat, which makes the heart healthy. The benefits of almonds are almost endless! Almonds are a good resource of monounsaturated fats and polyunsaturated fats, which facilitate in lowering the LDL (bad) cholesterol. Eating almonds as part of our regular diet can help raise HDL cholesterol, or “good” cholesterol, levels. According to a research done by David Jenkins MD, people who consumed a handful of almonds every day lowered their bad cholesterol level by 4.4%, and those who ate two handfuls every day reduced their bad cholesterol by 9.4%. The fiber present in almonds helps in detoxifying the body. It enables food to move through the digestive system more efficiently. This process cleanses the digestive system. The National Cancer Institute has released a study stating that high-fiber diets lower the risk of colon cancer. Therefore, almonds can be listed under foods that prevent colon cancer as they have high fiber content. Almonds are also an excellent reserve of vitamin E, Phytochemicals, and flavonoids, which controls the progression of breast cancer cells. Almonds have a stumpy glycemic index (GI). Studies demonstrate that almonds have the ability to decrease the after-meal escalation in blood sugar. Therefore, they assist in stabilizing blood sugar levels and offer protection from diabetes. Almonds are rich in manganese, riboflavin, and copper, all of which aid in manufacturing energy. If you are always on the go, try making your own almond energy bar, and take your power source with you. 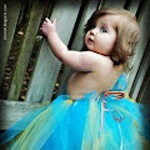 Almonds contain folic acid, a confirmed defense against birth defects. Folic acid plays a big function in healthy cell growth and tissue configuration, and therefore, it is very important for the healthy growth of the fetus. Women who intake folic acid – by eating almonds – during their pregnancies are likely to give birth to babies without NTDs (Neural tube defects). Scientific readings for almond benefits showed that they contain riboflavin and L-carnitine, nutrients that help in the growth of the brain cells. Almonds also contain phenylalanine, a brain-boosting chemical that aids our cognitive functions. 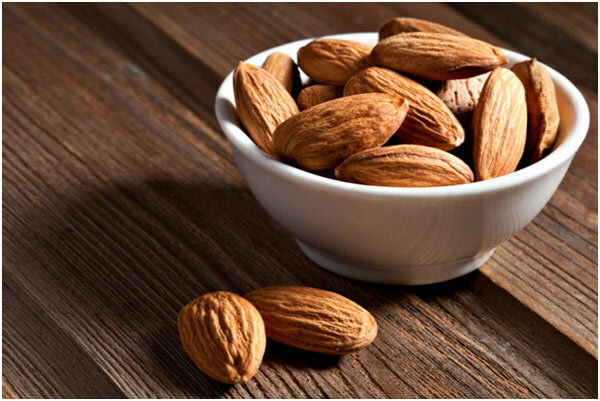 Ayurveda advises having five almonds soaked in water first thing in the morning every day for maximum brain strength. Almonds are a good source of micronutrients such as calcium and phosphorus, which avert osteoporosis and strengthen our bones and teeth. Almonds also provide other nutrients that improve bone mineral density and strengthen the skeletal system. Anemia is caused when red blood cells carry less quantities of oxygen. Almonds contain copper, iron and vitamins, which work as a catalyst in the synthesizing of hemoglobin. Therefore, almonds can be used as a preventive measure for anemia. The calorie filled almond butter does not contribute to weight gain. On the contrary, it contributed to weight loss as the healthy fiber and high protein helped to make the stomach feel full. There is even a suggestion that these calories may not be absorbed and cannot turn into extra pounds. However, the fullness from eating almond butter, combined with its nutritional profile, was found to make people consume less unhealthy food later in the day. Those looking to put on muscle mass can choose almond butter as it is a healthy source of proteins. The unsaturated fat in almond butter lowers cholesterol and helps keep heart disease at bay. A healthy adult should consume at least 25% of their daily calories from fat, and a heart-healthy fat with protein is the best path to take. The magnesium present in almond butter offers a host of benefits to the nervous system and muscle contraction, as the mineral plays a role in both functions. It also contributes to healthy metabolism and bone tissue. This is something that peanut butter cannot offer. This is another advantage that almond butter has over peanut butter. Almond butter, with its Vitamin E, has significant antioxidant properties that protect the tissues from oxidative damage. Vitamin E is an antioxidant that can neutralize free radicals. A single spoon of almond butter will take care of nearly 30% of your daily Vitamin E requirement. Almond milk contains secret traces of fiber. fiber is known for its digestion-enhancing benefits. Thus, almond milk eases the problem of indigestion largely. Increased digestion flushes unwanted and unhealthy toxins out of the human body system. This further increases the metabolic rate of the human body. Almond milk is rich in muscle building proteins. Proteins improve muscle health by repairing damaged ligaments and tissues. Thus, it is also a very valuable and nutritional drink for athletes. Improved muscle health reduces body fatigue to a large extent. Thus, almond milk increases the physical alertness of human body. Almond milk is rich in potassium. Potassium is one of the minerals that constitute electrolytes in the human body. These electrolytes are charges that boost memory. Thus, almond milk is a natural way to sharpen your memory. If you are suffering from high body temperature, then applying bitter almond oil essentials on the body can decrease the temperature quite a bit. The reason? Bitter almond is said to contain alkaline elements that have toxicity in them. This nature puts an obstacle in front of the fungus, viruses or bacteria to spread out fever in a human body. But the deeper reason has not been discovered so far. When it comes to a minor stitching on your skin or plucking tooth, bitter almond oil can be used as an anesthetic compound. 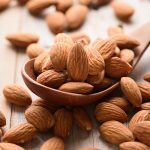 The toxic component called glycoside amygdalin, which is present in essential bitter almond oil, has the capacity to turn the nerves insensitive temporarily so that you will be numb to the sense of pain. But, it must also be noted that you can use bitter almond oil as an anesthetic compound only externally. Consuming it internally can bring upon a gamut of health hazards. Detoxification is a crucial process, especially if you have recently gone through a binge-eating and partying phase. These events will definitely lead to a toxic formation in your body at an excessive rate, thus leading to a dwindling mood, stress, dull skin, lackluster hair and so on. As stated above, the toxic compounds of bitter almond oil will relieve your inner system from toxins. So, injecting bitter almond oil in a small dosage can bring greater results. The existence of hydrogen cyanide in bitter almond oil is said to have healing properties in specific cancer types. This fact has been published recently in a medical study. Though in-depth research is still the call of the hour in this area, but there is no doubt that it has added another laurel to the cap of bitter almond oil. So get started with almonds and add them to your daily diet – as a snack, in a refining smoothie, or in your baking. You can also substitute your regular milk with almond milk and flour with almond flour and enjoy the immense benefits. We’ve all heard that almonds have lots of beautifying qualities and nutritional benefits. But, what can they do to improve our skin? Very few people are aware of its skin enhancing benefits. We hope that learning more about it will encourage you to apply it regularly as a part of your beauty regimen and consume it as a part of your diet. Have you ever used almond oil for skin? Almond oil is a brilliant moisturizer as it contains olein glyceride linoleic acid. It works to prevent acne, blackheads, as well as arid and prickly skin. It also provides vitamin E needed for healthy skin. It helps to bring a glow to your skin and also acts as a mild disinfectant for wounds. It is also used as a massage oil for growing children to aid in their muscle growth. Almonds contain ample amount of vitamin E, which is labeled as a skin-friendly nutrient. Foods rich in vitamin E act as a shield against sun exposure and minimize skin damage. Almond milk can be used to effectively treat sun burns and other skin problems. The oil extracted from almonds is also used as an aromatherapy oil for massaging the body. Almond oil is suitable for all skin types as it gets easily absorbed into the skin and gives off a wonderful and calming aroma. It nourishes the skin and makes it healthy from within. Almond is considered as a natural moisturizer and can easily give chemical laden moisturizers and serums a run for its money. Cleanse your face thoroughly and apply a few drops of oil to your face. Massage your skin in upward strokes including the eye area. Applying it daily will result in smoother and softer skin. Almond oil does not have a greasy effect and gets quickly absorbed into the skin. It also does not clog the pores. Skin problems like acne, blackhead and whiteheads are often caused by dirt and oil trapped in the pores of the skin. The essential fatty acids found in almonds control the amount of oil secreted by the sebaceous glands and prevent breakouts. When applied regularly, you will definitely notice a reduction in your acne. Almond oil applied on skin soothes inflammation and reduces rashes. Almond oil and paste are very effective for treating under eye dark circles. Soak almonds in water and grind it to make a smooth paste. Apply it around the eyes and leave it overnight. Almond’s moisturizing properties will soften the pesky line and reduce dark circles and puffy eyes. This will surely work better than your readymade eye creams. Almond is believed to have age-defying properties. Massaging face with almond oil fights the signs of aging to keep the skin supple and youthful. Make a face mask by combining honey, almond oil and lemon juice in equal quantities. Use this simple face mask twice a week to reduce wrinkles and revitalize your skin. Exfoliation is very essential to maintain a proper skin care regime. You can use almonds to make an amazing exfoliating scrub. Grind soaked almond and add 1 teaspoon of honey and 1 teaspoon of yogurt to it. Use this as an exfoliator to massage your skin. This will make the skin even toned and will clear the skin of the impurities. Almond oil works as a natural makeup remover. Pour a few drops of almond oil on a cotton pad and swipe it gently across the face and eyes to remove your makeup. It also works as an excellent eye wrinkle serum. The emollient qualities of almond oil make it very effective for treating stretch marks. It strengthens and nourishes the skin by creating a natural resistance to tearing. Heat the oil slightly and apply it on the stretch marks. Massage the area using your hands in a circular motion for a few minutes. Apply it twice a day to observe optimum benefits. Almonds are rich in antioxidants and protective plant chemicals that are artificially added to several hand creams. Apply almond paste or almond oil to moisturize hands, nails and cuticles. Therefore, both almond paste and almond oil are amazing natural skin and hair care products. Start applying on your face and hair to notice the difference. Almonds contain hair-friendly nutrients like polyunsaturated and mono fatty acids as well as vitamin A, D, B1, B2, and B6. These nutrients penetrate into the hair strands and make the hair healthy and beautiful. The combination of fatty acids and fats in almond softens, strengthens and nourishes the hair. Almonds contain high amount of magnesium, which is an essential mineral for having healthy strands. Deficiency in magnesium is often linked to hair loss; therefore, consuming magnesium through almonds not only helps to maintain proper functioning of the body but also enables hair growth. Suffering from dandruff problem? Mix almond oil and neem oil in equal quantities and massage it onto your scalp. Leave it overnight and then wash it off the next morning to get rid of dandruff. Almond oil nourishes and moisturizes the scalp to remove flakiness, while neem oil’s antibacterial properties treat dandruff and inflammation. Massage your scalp with almond oil mixed with rosemary and lavender essential oils to reduce hair fall. Apply a few drops of oil on the roots of the hair and massage your scalp in circular motions. Leave it on for 2 hours and then shampoo as usual. Take a few drops of almond oil and apply it lightly over the hair. Vitamin E in almond oil conditions the hair follicles and smoothes uncontrollable frizz without making the hair greasy. To get silky soft hair, mix henna powder with water, an egg and 2 tablespoons of sweet almond oil and leave it overnight. Apply it on the hair and leave it on for 4 hours. Wash it off and dry your hair. This will make your hair soft and silky and give it a red tint. Regular exposure to dust, heat, pollution and application of hair styling products like hair gel and styling tools takes a toll on our hair, leaving it damaged and brittle. Almond oil penetrates deep into the hair shaft and softens scalp tissue to treat scalp inflammation. Almond oil is also very useful in treating all kinds of hair troubles. It helps to curb hair fall and dandruff and prevents graying of hair. It makes your hair silky and shiny too. Almonds are easily available all year round in many forms like shelled, unshelled, salted, sweetened and even powdered. If you find the shelled variety, shake it. If it rattles a lot, then there are high chances that it is aging or shrinking. Choose between shelled or unshelled almonds and avoid buying processed almonds. Buy almonds that bright brown in color, are uniform in size and feel heavy. It should be free from cracks and spots, and should not smell rancid. Almonds often turn rancid with time. To check for rancidity, cut the almond in half and look at the white portion. If the inside part of almond is yellow or has a honeycomb texture, then it should be discarded. Packaged almonds are best stored in a cool dark place where they can last easily for up to a year. You can even store it in the refrigerator. It will not alter its taste in any way. Almond paste can be stored in the refrigerator for over 2 months. You can also store almonds in the freezer to extend their shelf life. But seal the almonds properly to protect it from ice formation and moisture which can result in the growth of mold. Once opened, store it in an airtight container or sealed baggie in a cool and dry place. Avoid exposing almonds to strong odors as they can easily absorb odor from other pungent materials if exposed for a prolonged period. Do protect it from insects and pests. Almonds should be kept away from humidity for maximum shelf life. Almonds are one of the most versatile nuts in the whole world. You can add almonds to almost every meal and cuisine. Almonds are used in Mughlai cuisine and to prepare sweet dishes. Almonds have a nutty yet pleasantly sweet taste. They can be enjoyed in both salted and unsalted forms. Roasting almonds before serving them brings out their crunchy taste and their healthy oil. Place some almonds on your baking tray and roast for 10 minutes at 350 degrees Fahrenheit for that delicious snack! Sweetened almond drink is a very popular Indian beverage which is made by using almond milk. Blend almond milk, fruits, and frozen yogurt to make a delicious smoothie. Almond skin is edible but has a bitter taste. If you do not like the bitter taste, then you can remove the skin. Purchase whole almonds and cut it just before using it. Blanched almond works well as an attractive garnish on cakes, cookies and other sweets. Almond paste is used in the preparation of soups or vinaigrettes to add body and nutrition. Slivered blanched almonds are sprinkled over desserts, particularly sweet dish and ice cream. Diced almonds work best for stuffing and coatings. Almond is also used to prepare almond butter, which tastes simply amazing. So, don’t wait. Start including almonds into your daily routine to experience the difference! Enjoy the benefits of the almonds to the fullest! Don’t forget to drop in your comments below.